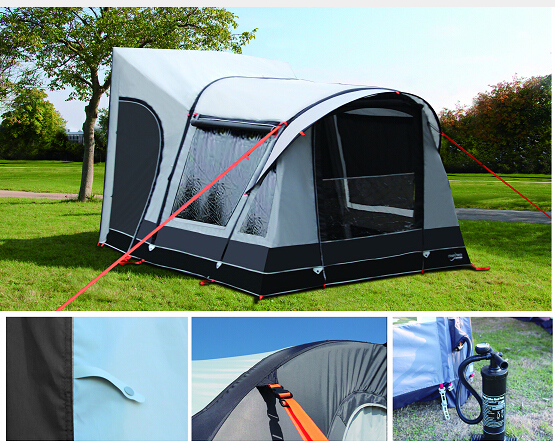 One of the latest technological developments from European Awning manufacturer Camptech is the stylish Motoair drive away awning, using a system of air tubes as the awning supports, it can be erected in less than 5 minutes, you will be enjoying a cold beer or glass of wine while others struggle with a mass of poles. The Motoair although designed for motor homes is also able to be used with pop top caravans or campers that don’t have a sail rail for conventional awnings, it will fit motor homes with either side or rear door openings and is stand alone, which means a trip down to the shop does not mean dismantling you’re entire campsite, the vehicle is free to drive away by simply removing and re attaching the easy fit figure of eight channel that clips onto the gutter or J rail. Strength and durability in the harsh Australian climate is taken care of by being manufactured in a long lasting Climatech 150D PU coated material with double walled air tubes. The Motoair inflatable air tubes are incredibly strong and are designed to give years of trouble free camping. Factory fitted to the awning are 4 storm strap clips which if used with 4 storm strap tie downs gives the Motoair the ability to withstand high winds, the Motoair is supplied standard within Australia with 2 storm straps, more than adequate for general use, an additional 2 storm straps are available as an option. To allow ease of entry when the tunnel is fitted to the motorhome a zipped entry door is installed at each end, Peg hoop straps are fitted to the base of the Motoair allowing the floor to be pegged flat. 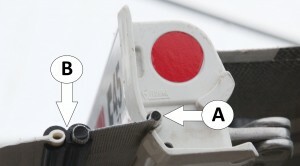 An easy to use hand air pump is included to supply air to the support tubes. Warranty: We offer a 12 month warranty on Camptech Motoair freestanding awnings to ensure all customers are entirely happy with our product, you will need to keep your original invoice/receipt and supply a copy of this in the rare case of claiming for warranty. The warranty covers DEFECTIVE material or workmanship only. Misuse, abuse or adverse weather damage is NOT covered by this warranty. 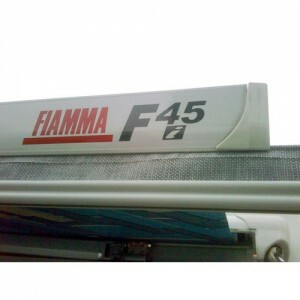 Fits directly to your Fiamma box! As shown below, using the supplied Fiamma adapter (B) enables you to fit the Motorair directly into your Fiamma or pull out awning box (A). The Motoair comes as standard with this feature with all Motoair purchases within Australia.